“`Born in Manitoba, Canada, Hall initially tested his skills on radio. After moving to Manhattan, and then to Los Angeles, he began working on a number of shows. Hall hosted Keep Talking, Cowboy Theater and Video Village. He also was hired to host the popular Twenty-One and Strike It Rich. During the 1959–1960 season, he became a sports analyst for the New York Rangers of the National Hockey League. “`Let’s Make a Deal’s roots could be traced from The Auctioneer, a game show Hall hosted in Toronto in the 1950s. He joined writer-producer Stefan Hatos to create Let’s Make a Deal, knowing that his experience with audience interaction would be an instant hit on television. “`Hall was one of only three game show hosts on both Hollywood’s and Canada’s Walks of Fame; the others being Alex Trebek and Howie Mandel. Monty spent much of his post-Deal days involved in philanthropic work. He was always going to various telethons, and helped raise close to a billion dollars for charity in his lifetime. Hall was repeatedly honored for his charitable effort. Wards at Mount Sinai Hospital in Toronto and Hahnemann University Hospital in Philadelphia were named in his honor. Monty was the 2005 recipient of a Ralph Edwards Service Award from Game Show Congress in recognition of all his charity work. 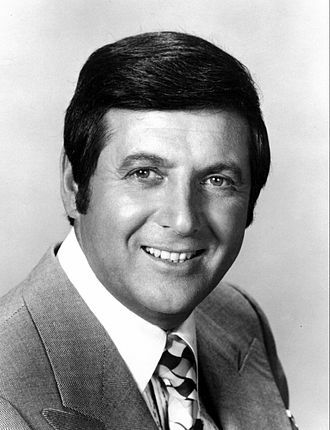 “`The genial Monty Hall, who never turned down signing an autograph, was 96. This entry was posted on Sunday, October 1st, 2017 at 9:12 pm	and is filed under Blog by Manny Pacheco. You can follow any comments to this post through the RSS 2.0 feed. Responses are currently closed, but you can trackback from your own site.